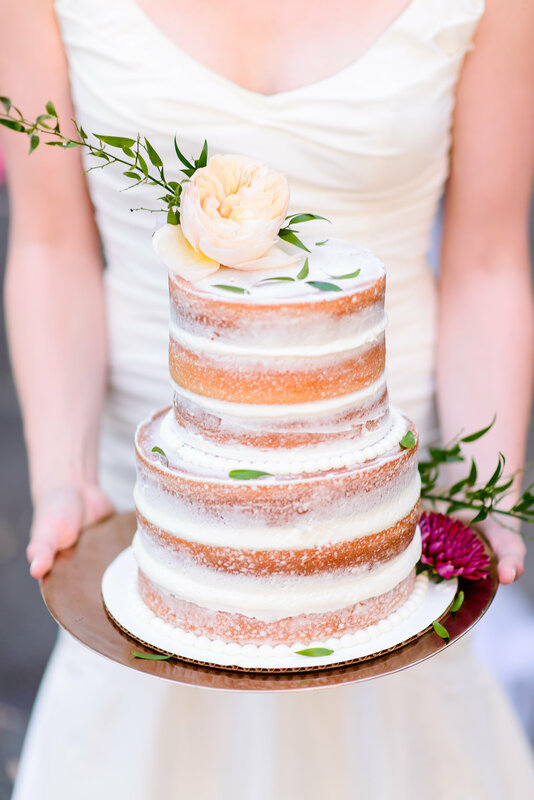 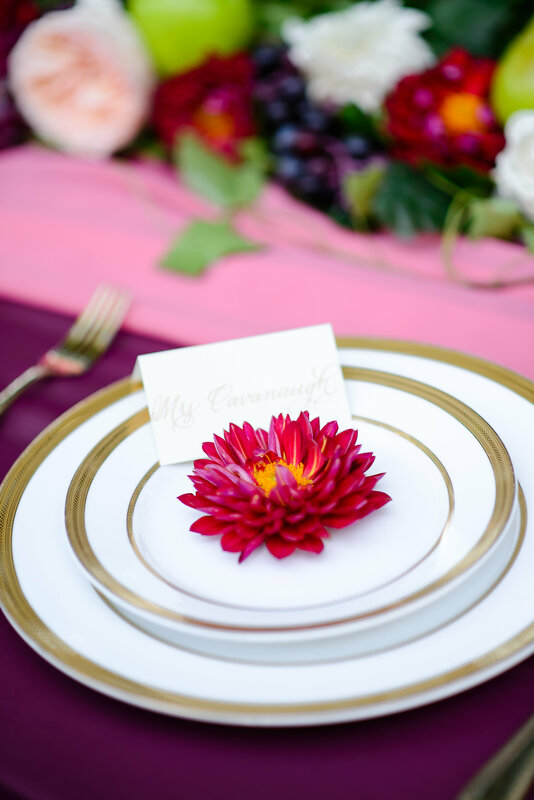 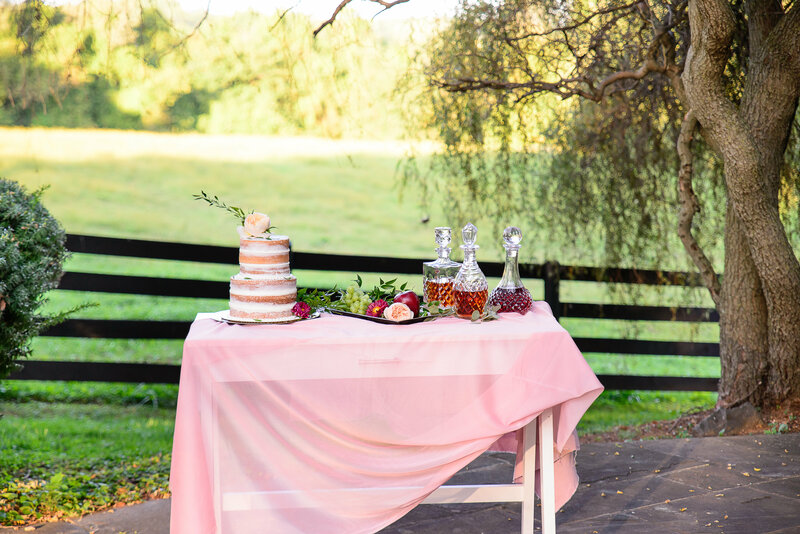 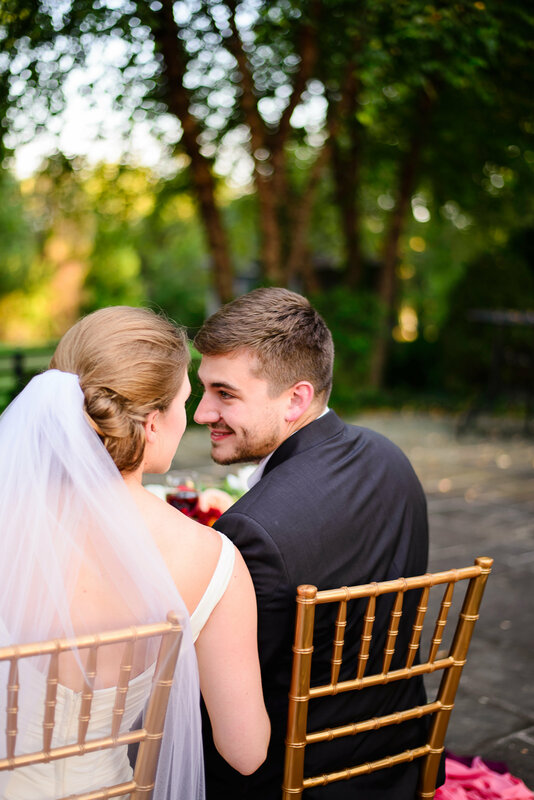 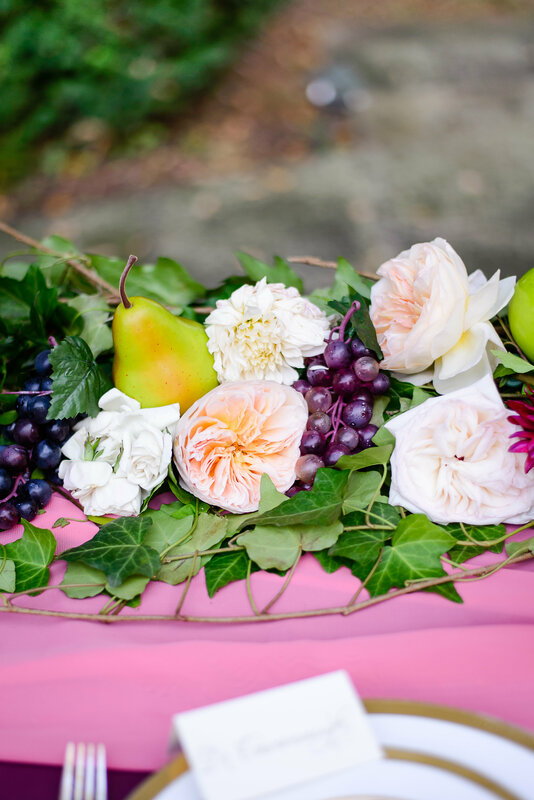 Not all reception table centerpieces have to be traditional floral options, and we loved seeing the mixture of fruits and flowers for this Rustic Virginia Wedding inspirational shoot from Ben and Sophia Photography. 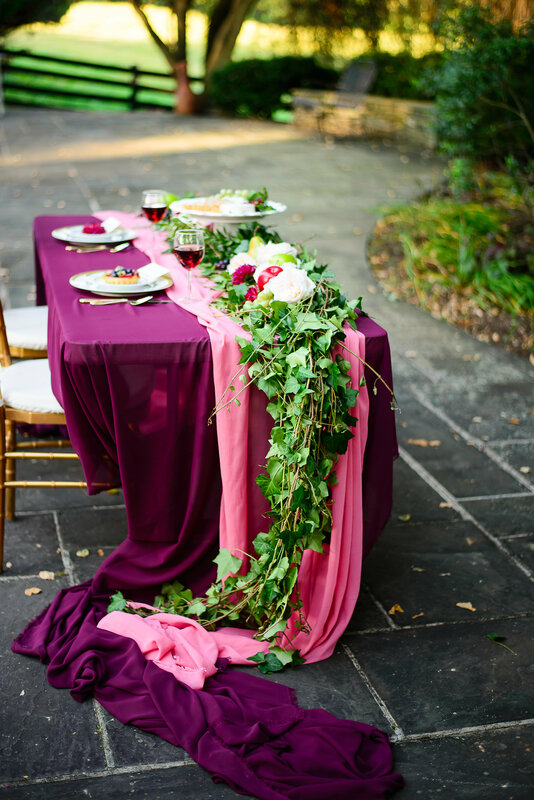 For this shoot, the team paired together the 2015 Pantone color of the year marsala with blush, sage greens, and creams to create a romantic tablescape. 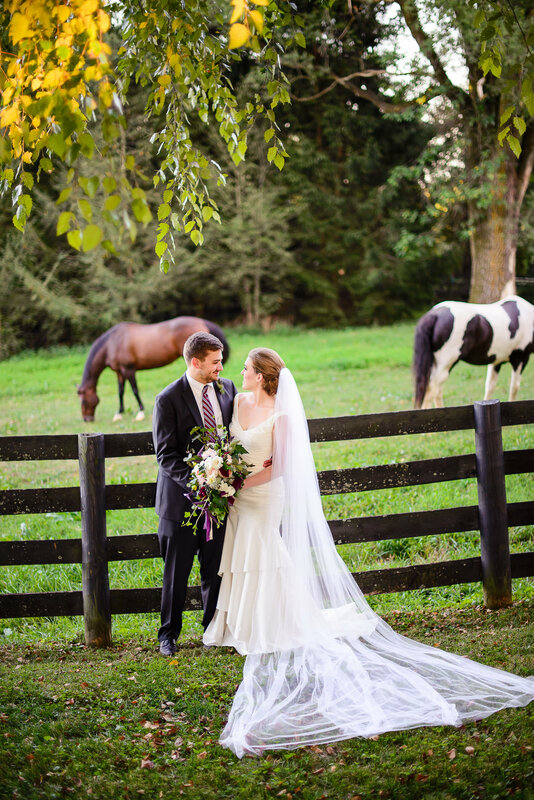 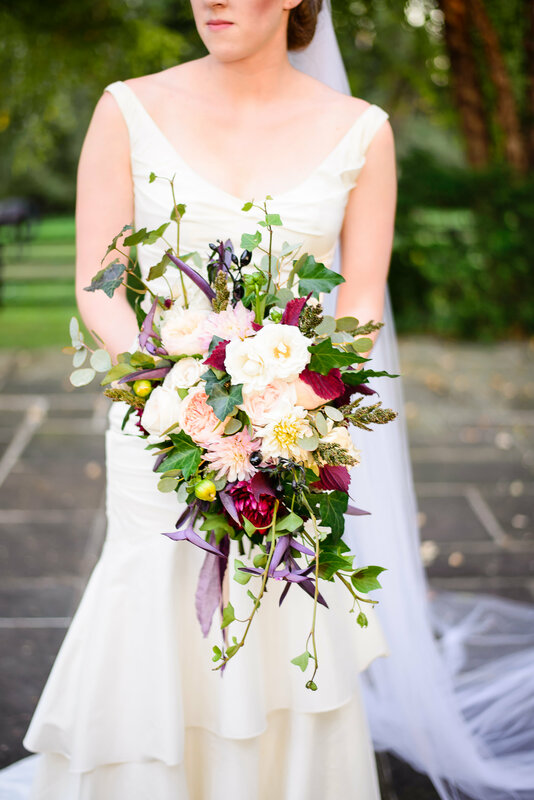 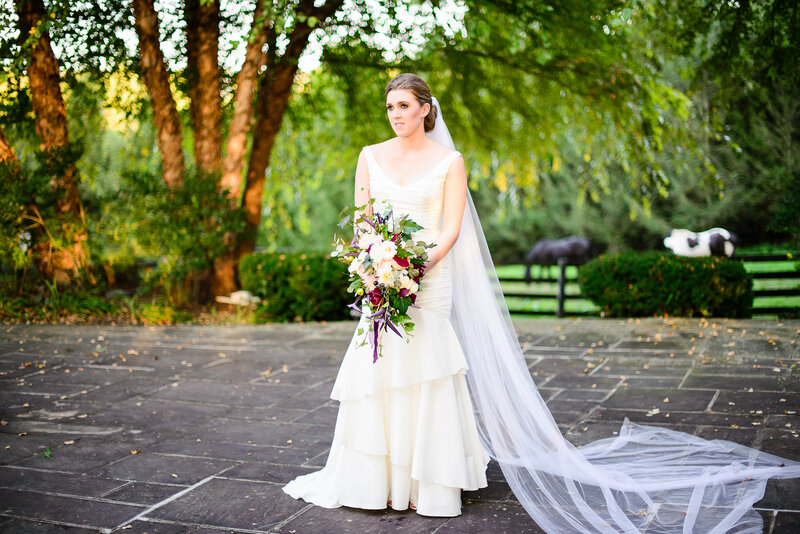 We especially loved the brides wild and organic bouquet of dahlias, ivy, and garden roses by The Proper Petal, against the backdrop of the Black Horse Inn where the photoshoot took place. 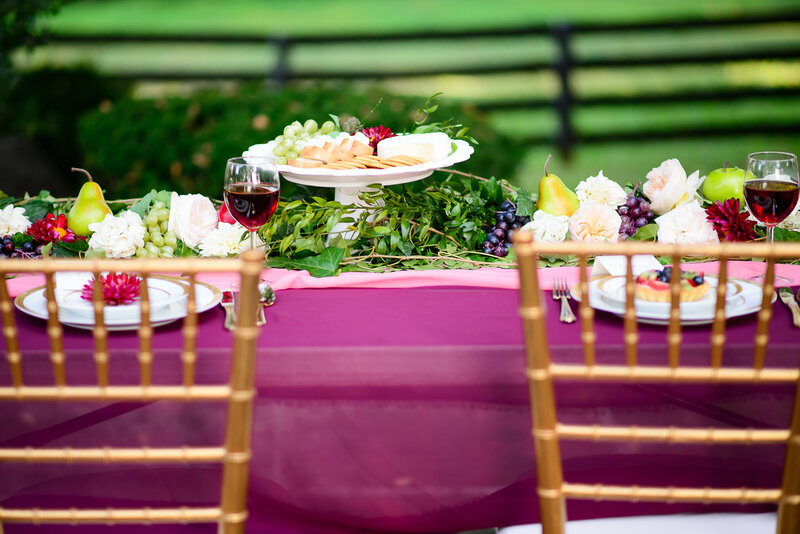 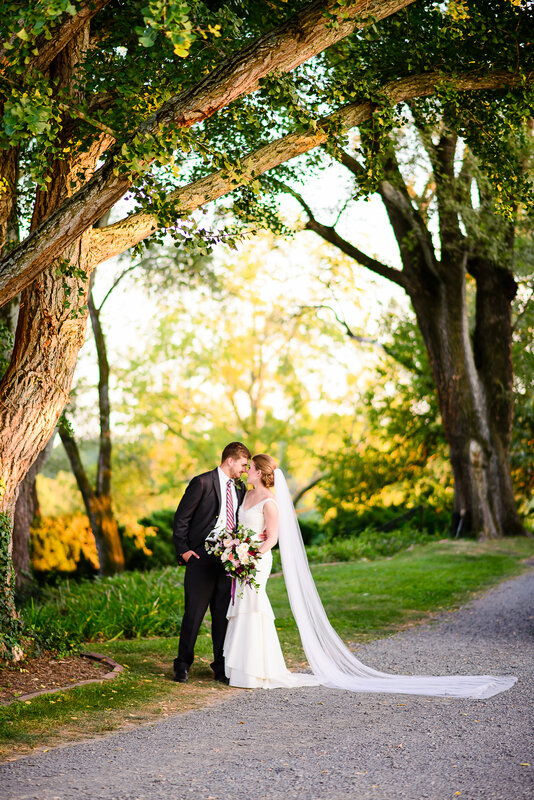 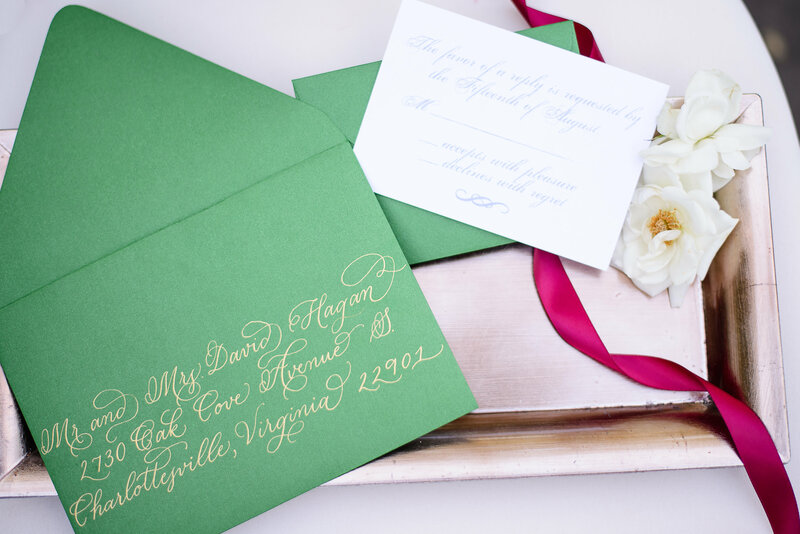 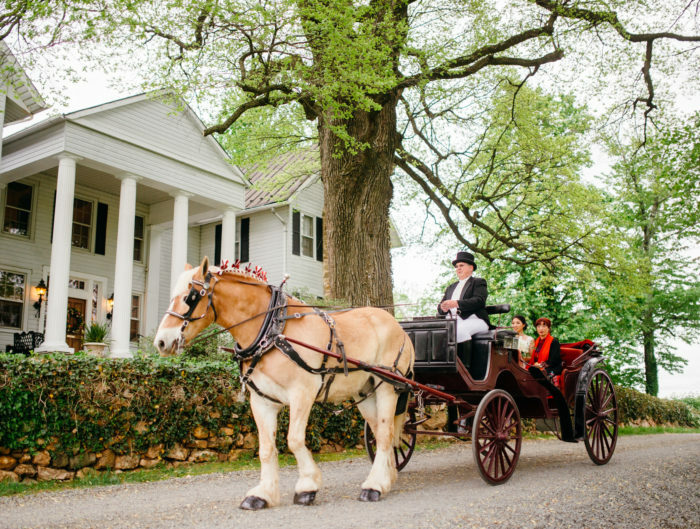 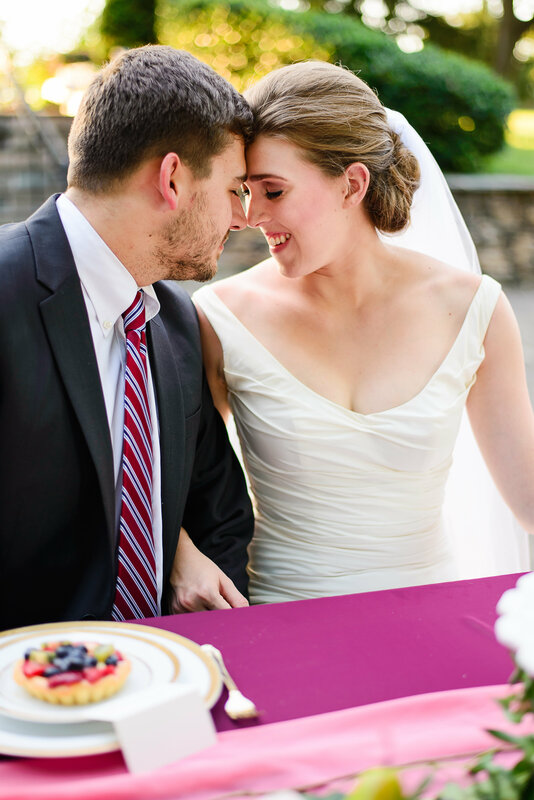 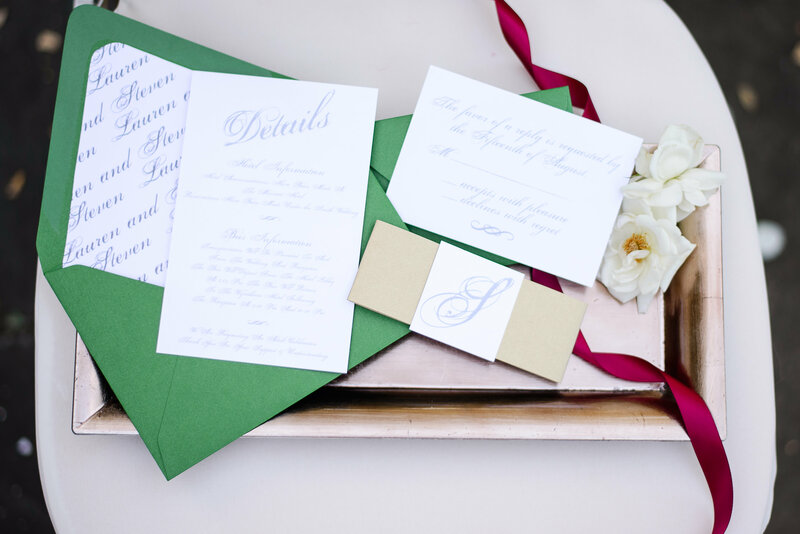 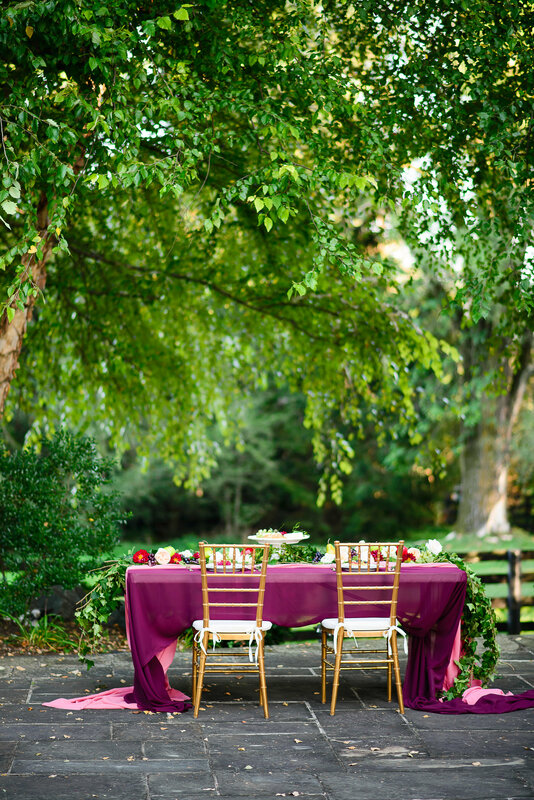 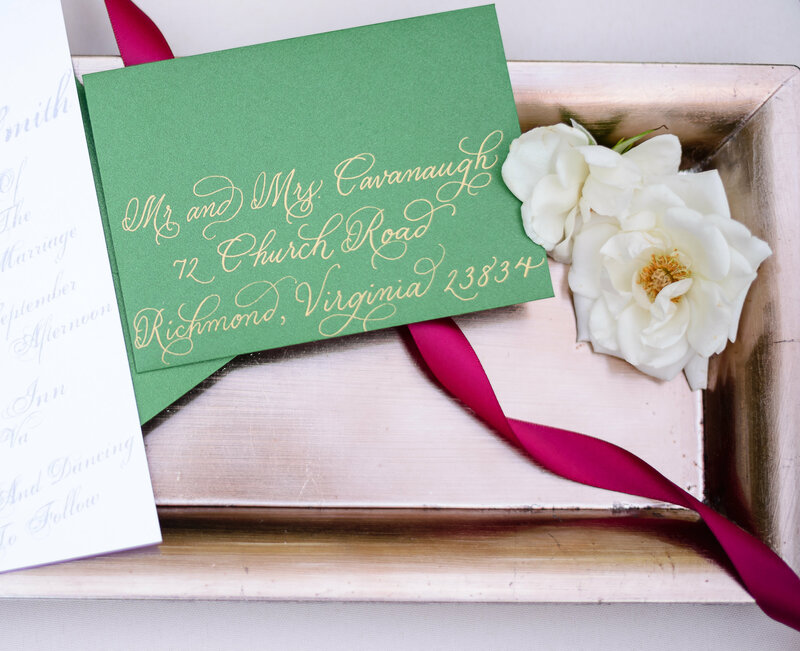 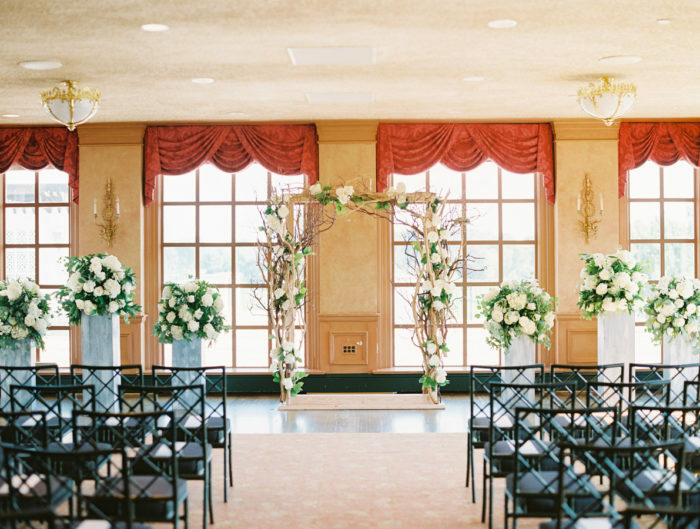 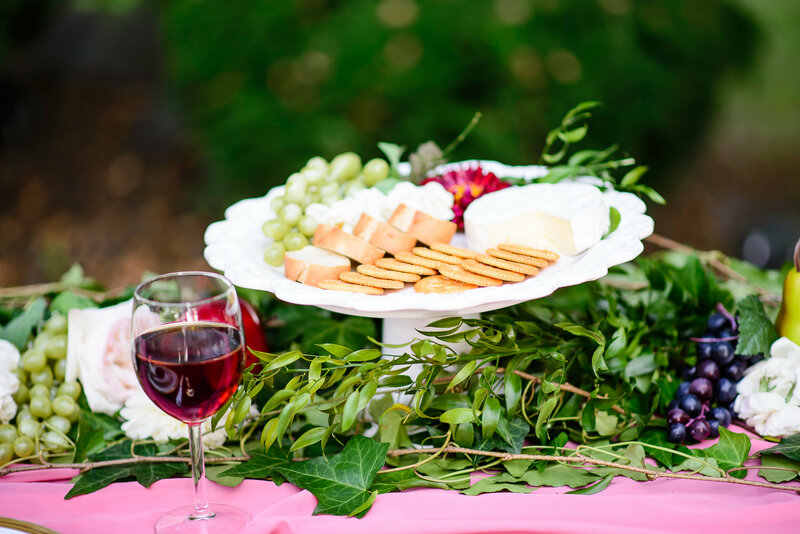 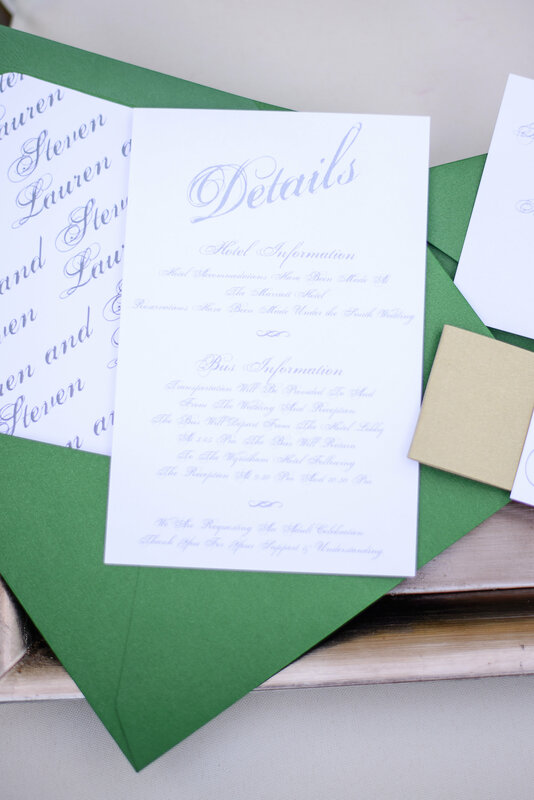 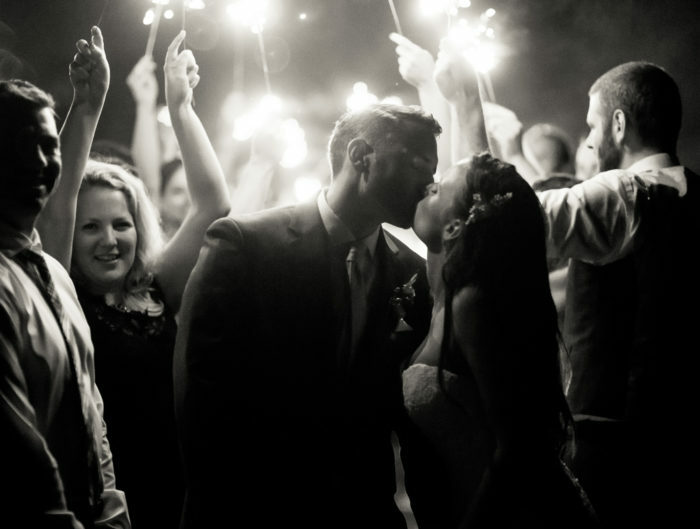 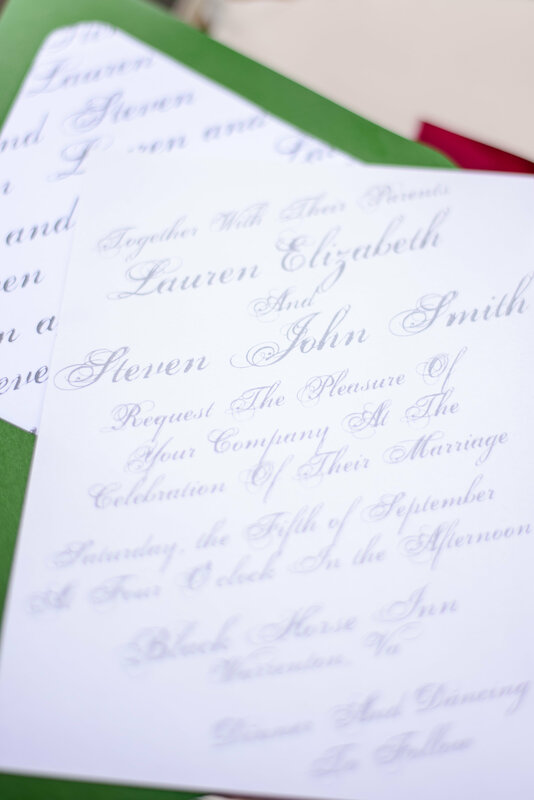 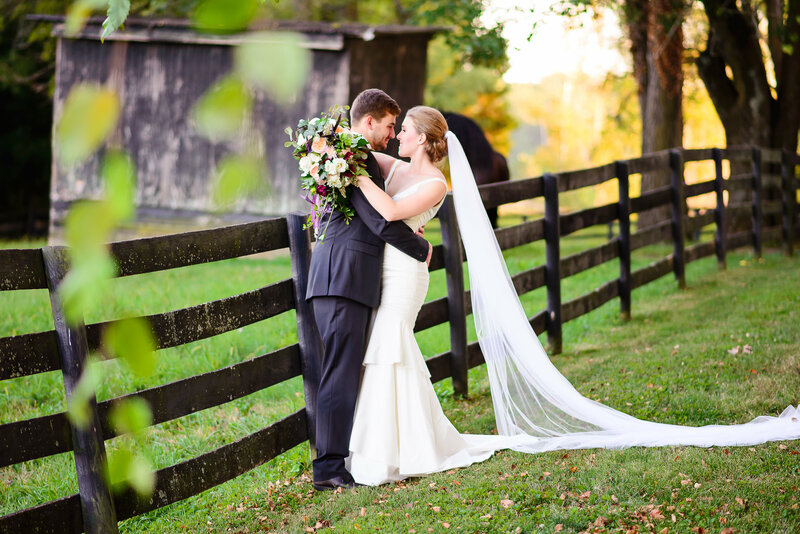 What’s not to love about this wine-inspired shoot? 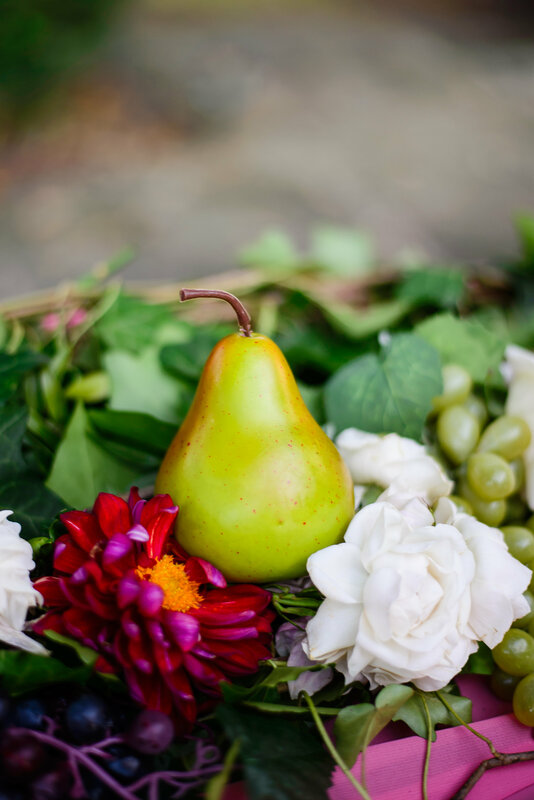 Thanks so much for featuring! 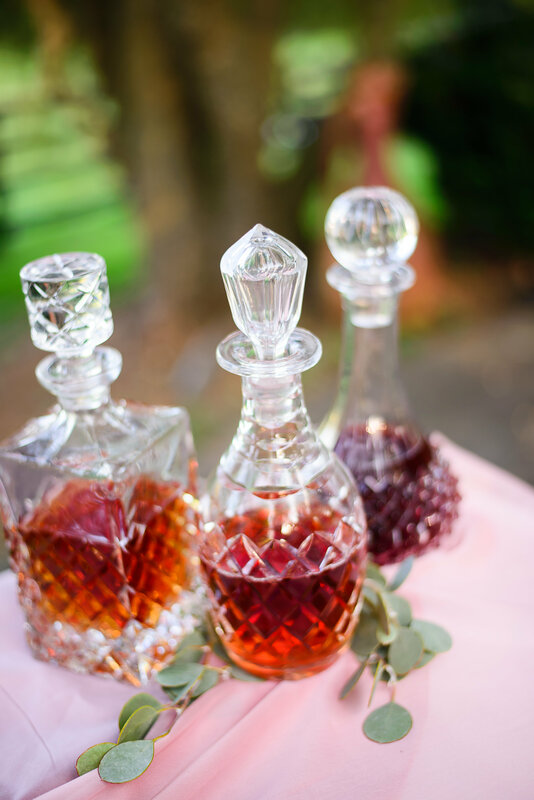 Our glass decanters look gorgeous in these images…as does everything else! 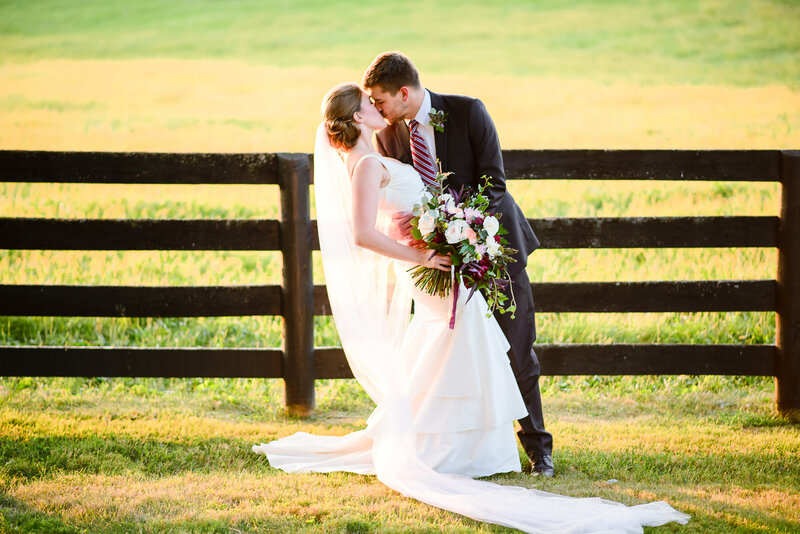 Kudos Ben and Sophia!